Sometime between Thanksgiving and Christmas I had a mission. 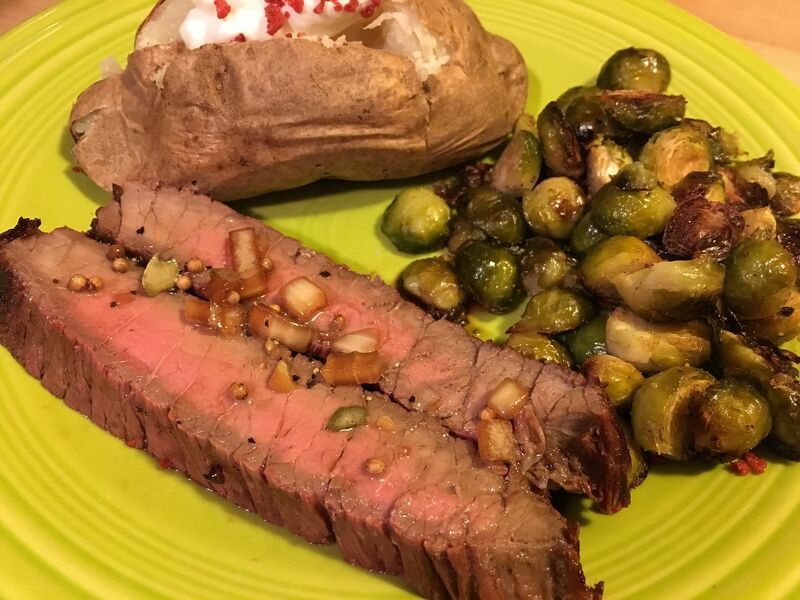 Take a London broil and turn it into dinner. 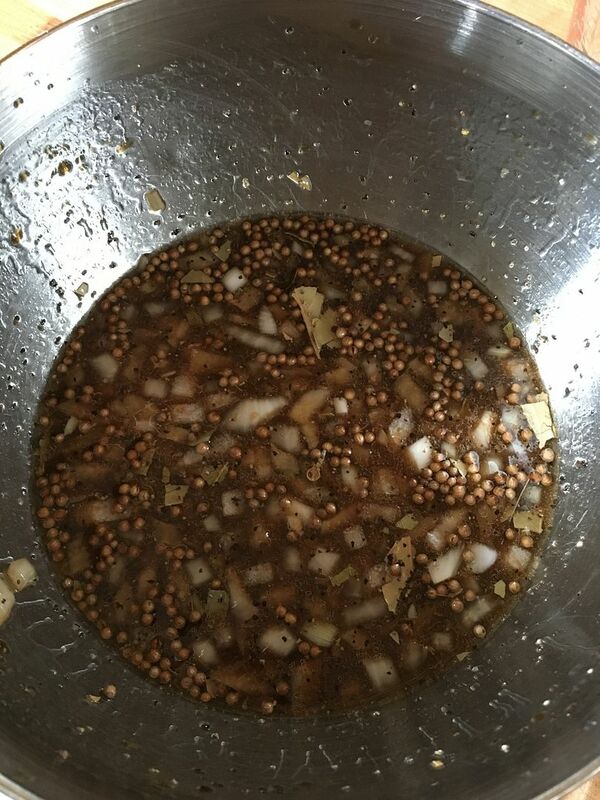 I am usually pretty good at coming up with a marinade recipe on the fly. But, my brain was stuck in neutral and I was drawing blanks. I started flipping through my Flipboard feed for all things meaty and after some scrolling, I found an old flip that had tickled my fancy at some point. 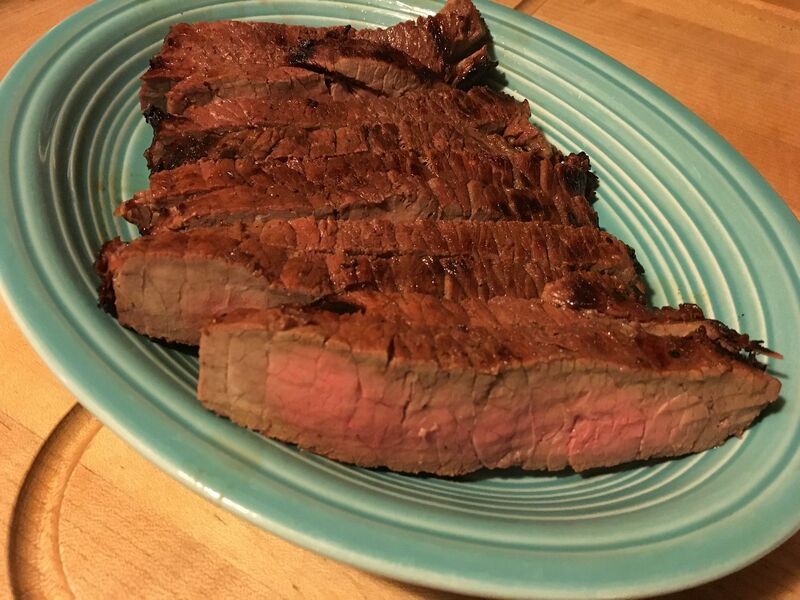 The recipe was a nice Filipino style grilled London broil recipe by Steven Raichlen. Why not? Raichlen tested, Internet approved. You can't go wrong. Besides, I had tried a few Filipino BBQ recipes from my blogger friend Reuben over at BBQ Guam that were outstanding. So, after reconciling the ingredient list with my pantry, all systems were a go. I whipped up the marinade and reserved about a cup as recommended in the recipe to use as a finishing sauce for the final product. 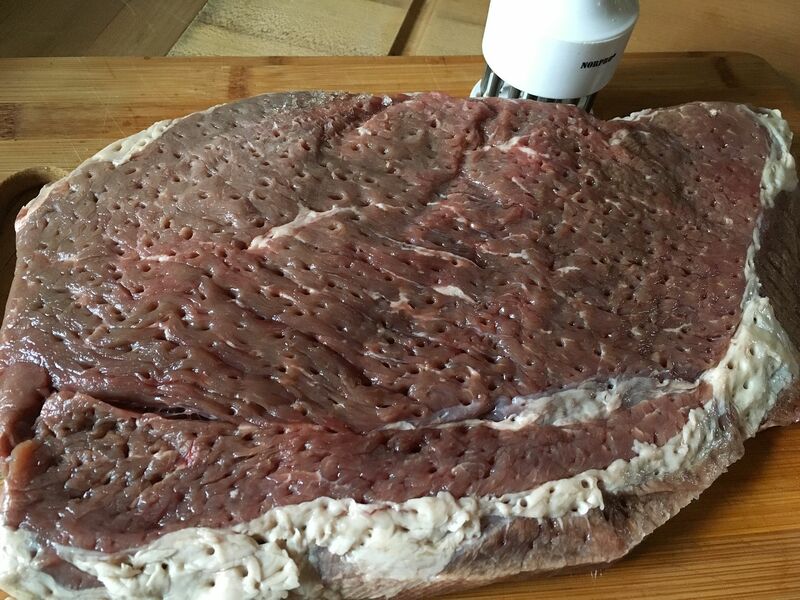 After thoroughly tenderizing the London broil I placed the meat in a bag, added the marinade, and let the meat marinade for about six hours. 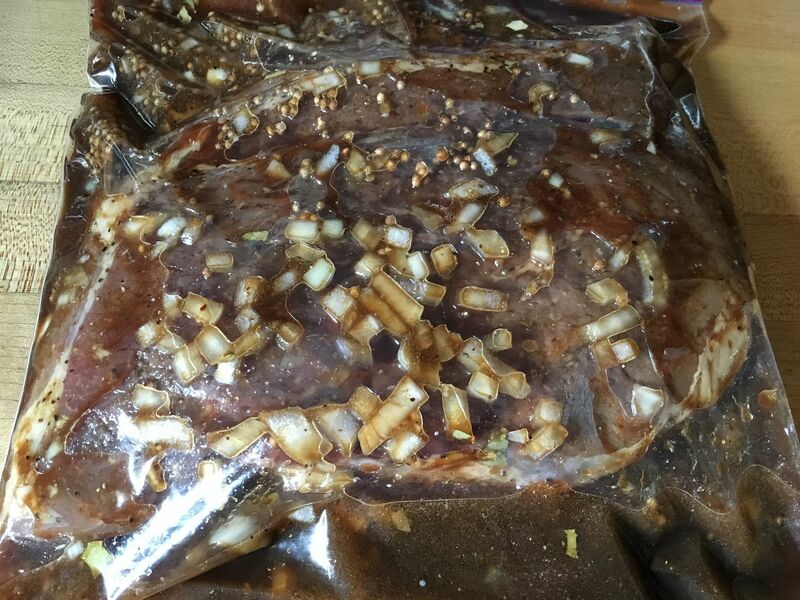 Every time I walked past the marinading meat during the day, I flipped the bag. After the six hour marinade, I removed the meat from the bag and scraped off the chunks per the recipe. While letting the meat come to room temperature, I lit a chimney of charcoal and prepared a hot fire in my grill. 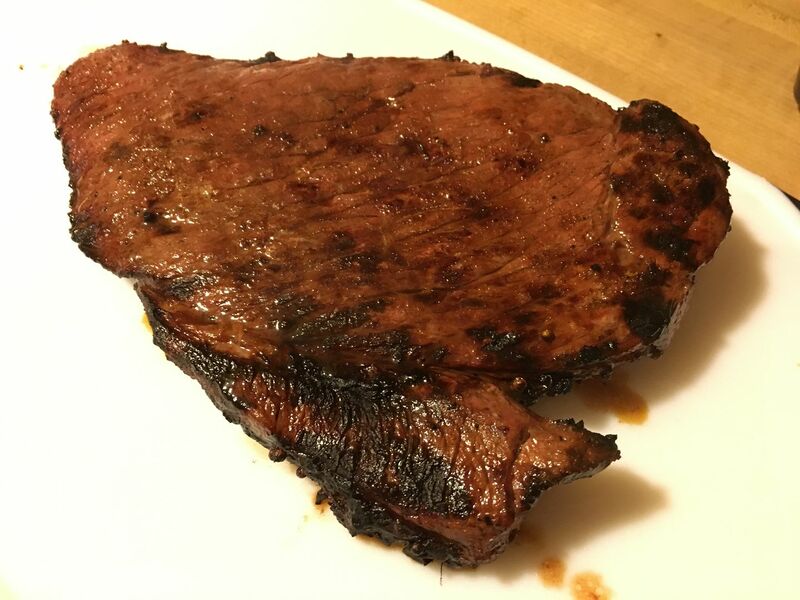 I carefully cooked this London broil to an internal temperature of 135 F. After allowing to sit for 10 minutes before slicing, the meat was somewhere between medium rare to medium in doneness. I served with some roasted brussels sprouts and a baked potato because nothing says Filipino like baked potato and sprouts. Right? 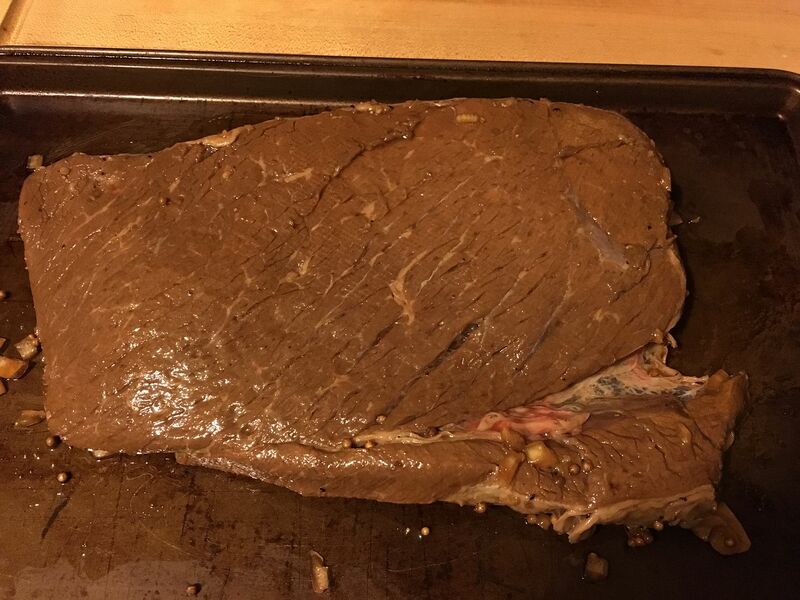 I tried some pieces of the meat with the reserved marinade spooned on top and some without. I liked them either way. 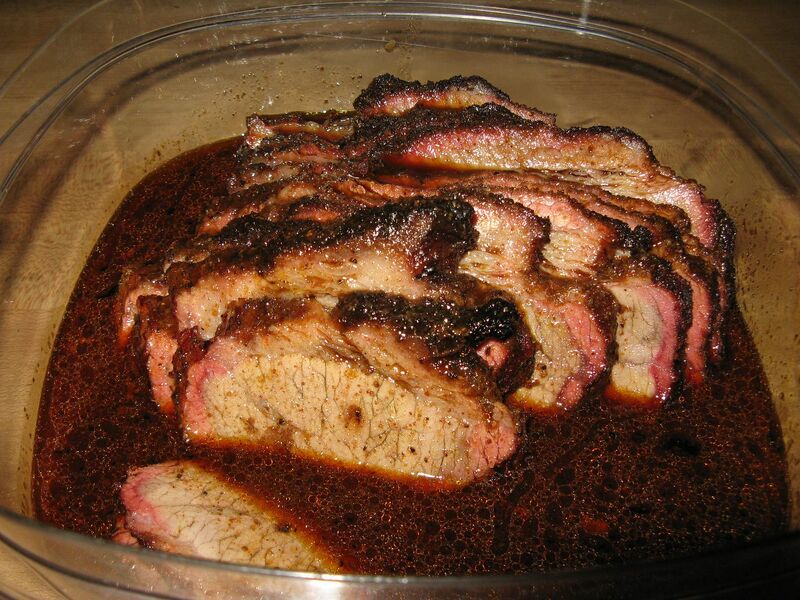 Without the sauce, the meat is flavorful and tender. 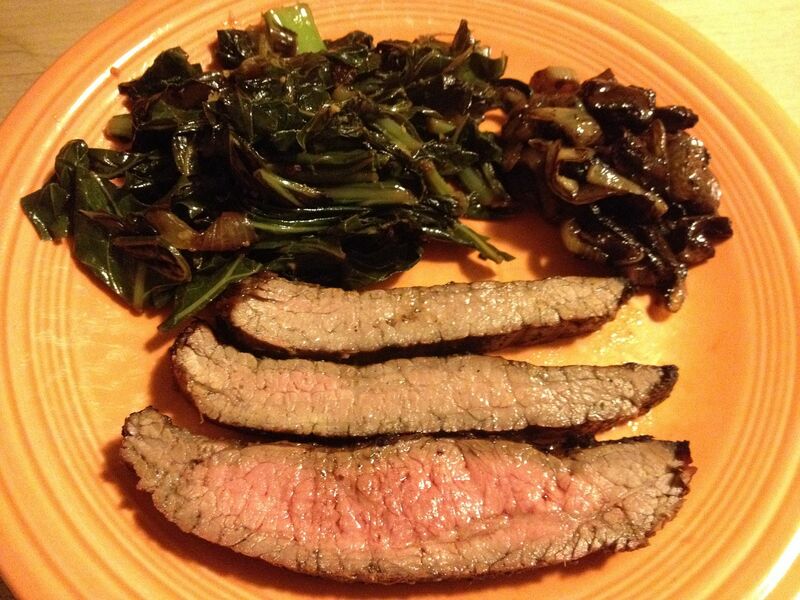 The vinegar and citrus in the marinade definitely did its job in breaking down the meat. With the sauce, their was a nice flavorful vinegar punch. The sauce on the side reminded me of the flavored vinegars you see on a table at any Cuban restaurant. Overall, we were happy with this recipe. The flavors were a nice change of pace from the usual grilled beef. This recipe will be headed into the book for future use. Sorry Chilebrown, hit the delete button by mistake. Raichlen has a good gig for sure. I'd give it a try. As for mooing, I like it that way as well. I wasn't paying attention. 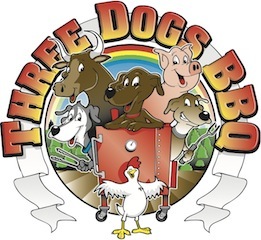 I also recommend tooling around BBQ Guam. Good site.